Abu Nasr Muhammad al-Farabi was one the earliest Islamic intellectuals who was instrumental in transmitting the doctrines of Plato and Aristotle to the Muslim world. He had a considerable influence on the later Islamic philosophers such as Avicenna. He was an outstanding linguist who translated the Greek works of Aristotle and Plato and made considerable additions to them of his own. Al-Farabi completed his earlier education at Farab and Bukhara. Later on he went to Baghdad for higher studies where he studied and worked for a long time. During this period he acquired mastery of several languages as well as various branches of knowledge and technology. 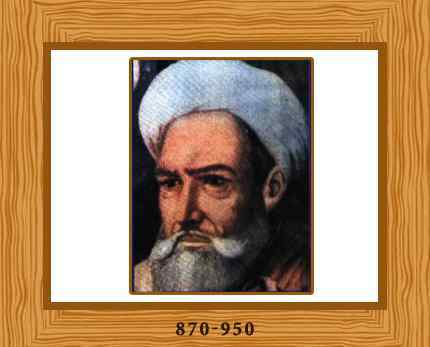 Farabi contributed considerably to science, philosophy, logic, sociology, medicine, mathematics and music. His major contributions were in philosophy, logic and sociology and for which he stands out as an Encyclopedist. As a philosopher, Farabi was the first to separate philosophy from theology. It is difficult to find a philosopher both in Muslim and Christian world from Middle Ages onwards who has not been influenced by his views. He believed in a Supreme Being who had created the world through the exercise of balanced intelligence. He also asserted this same rational faculty to be the sole part of the human being that is immortal, and thus he set as the paramount human goal the development of that rational faculty. He gave considerably more attention to political theory compared to any Islamic philosopher. Later in his work, Farabi laid down in Platonic fashion the qualities necessary for the ruler. He stated that a ruler should be inclined to rule by a good quality of a native character and exhibit the right attitude for such rule. At the heart of Al-Farabi’s political philosophy is the concept of happiness, in which people cooperate to gain contentment. He followed the Greek example and the highest rank of happiness was allocated to his ideal sovereign whose soul was ‘united as it were with the Active Intellect’. Farabi served as a tremendous source of aspiration for intellectuals of the middle ages and made enormous contributions to the knowledge of his day, paving the way for the later philosopher and thinkers of the Muslim world. Farabian epistemology has both a Neoplatonic and an Aristotelian dimension. The best source for Farabi’s classification of knowledge is his Kitab ihsa al-ulum. This work neatly illustrates Farabi’s beliefs, both esoteric and exoteric. Through all of them runs a primary Aristotelian stress on the importance of knowledge. Thus al-Farabi’s epistemology, from what has been described may be said to be encyclopedic in range and complex in articulation, using both a Neoplatonic and an Aristotelian voice. Farabi also participated in writing books on early Muslim sociology and a notable book on music titled Kitab al-Musiqa (The Book of Music). This book is, in reality, a study of the theory of Persian music of his day, although in the West it has been introduced as a book on Arab music. He invented several musical instruments, besides contributing to the knowledge of musical notes. It has been reported that he could play his instrument so well as to make people laugh or weep at will. Farabi’s treatise Meanings of the Intellect dealt with music therapy, where he discussed the therapeutic effects of music on the soul. 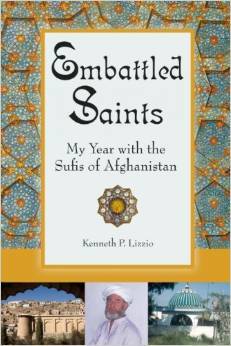 Farabi traveled to many distant lands throughout his life and gained many experiences. As a result, he made many contributions for which he is still remembered and acknowledged. Despite facing many hardships he worked with full dedication and made his name among the popular scientists of history. He died a bachelor in Damascus in 339 A.H. /950 A.D. at the age of 80 years. 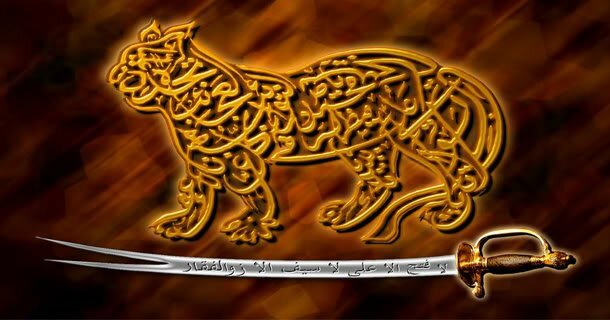 Al-Farabi (/ˌælfəˈrɑːbi/; Persian: ابو نصر محمد بن محمد فارابي‎ Abū Naṣr Muḥammad ibn Muḥammad al Fārābī; known in the West as Alpharabius; c. 872 – between 14 December, 950 and 12 January, 951) was a renowned philosopher and jurist who wrote in the fields of political philosophy, metaphysics, ethics and logic. He was also a scientist, cosmologist, mathematician and music scholar. In Islamic philosophical tradition, he is known with the honorific “the Second Teacher”, after Aristotle being known in the East as “the First Teacher”. He is credited with preserving the original Greek texts during the Middle Ages because of his commentaries and treatises, and influencing many prominent philosophers, like Avicenna and Maimonides. Through his works, he became well-known in the East as well as the West. Though he was mainly an Aristotelian logician, he included a number of non-Aristotelian elements in his works. He discussed the topics of future contingents, the number and relation of the categories, the relation between logic and grammar, and non-Aristotelian forms of inference. He is also credited with categorizing logic into two separate groups, the first being “idea” and the second being “proof”. Al-Farabi also considered the theories of conditional syllogisms and analogical inference, which were part of the Stoic tradition of logic rather than the Aristotelian. Another addition al-Farabi made to the Aristotelian tradition was his introduction of the concept of poetic syllogism in a commentary on Aristotle’s Poetics. As a philosopher, Al-Farabi was a founder of his own school of early Islamic philosophy known as “Farabism” or “Alfarabism”, though it was later overshadowed by Avicennism. Al-Farabi’s school of philosophy “breaks with the philosophy of Plato and Aristotle [… and …] moves from metaphysics to methodology, a move that anticipates modernity”, and “at the level of philosophy, Alfarabi unites theory and practice [… and] in the sphere of the political he liberates practice from theory”. His Neoplatonic theology is also more than just metaphysics as rhetoric. In his attempt to think through the nature of a First Cause, Alfarabi discovers the limits of human knowledge”. Al-Farabi had great influence on science and philosophy for several centuries, and was widely considered second only to Aristotle in knowledge (alluded to by his title of “the Second Teacher”) in his time. His work, aimed at synthesis of philosophy and Sufism, paved the way for the work of Ibn Sina (Avicenna). Al-Farabi also wrote a commentary on Aristotle’s work, and one of his most notable works is Al-Madina al-Fadila (اراء اهل المدينة الفاضلة و مضاداتها) where he theorized an ideal state as in Plato’s The Republic. Al-Farabi argued that religion rendered truth through symbols and persuasion, and, like Plato, saw it as the duty of the philosopher to provide guidance to the state. Al-Farabi incorporated the Platonic view, drawing a parallel from within the Islamic context, in that he regarded the ideal state to be ruled by the prophet-imam, instead of the philosopher-king envisaged by Plato. Al-Farabi argued that the ideal state was the city-state of Medina when it was governed by the prophet Muhammad as its head of state, as he was in direct communion with Allah whose law was revealed to him. Al-Farabi wrote a short treatise “On Vacuum”, where he thought about the nature of the existence of void. He also may have carried out the first experiments concerning the existence of vacuum, in which he investigated handheld plungers in water. His final conclusion was that air’s volume can expand to fill available space, and he suggested that the concept of perfect vacuum was incoherent. The main influence on al-Farabi’s philosophy was the neo-Aristotelian tradition of Alexandria. A prolific writer, he is credited with over one hundred works. Amongst these are a number of prolegomena to philosophy, commentaries on important Aristotelian works (such as the Nicomachean Ethics) as well as his own works. His ideas are marked by their coherency, despite drawing together of many different philosophical disciplines and traditions. Some other significant influences on his work were the planetary model of Ptolemy and elements of Neo-Platonism, particularly metaphysics and practical (or political) philosophy (which bears more resemblance to Plato’s Republic than Aristotle’s Politics). In the handing down of Aristotle’s thought to the Christian west in the middle ages, al-Farabi played an essential part as appears in the translation of Farabi’s Commentary and Short Treatise on Aristotle’s de Interpretatione that F.W. Zimmermann published in 1981. Farabi had a great influence on Maimonides, the most important Jewish thinker of the middle ages. Maimonides wrote in Arabic a Treatise on logic, the celebrated Maqala fi sina at al-mantiq. In a wonderfully concise way, the work treats of the essentials of Aristotelian logic in the light of comments made by the Persian philosophers: Avicenna and above all al-Farabi. Rémi Brague in his book devoted to the Treatise stresses the fact that Farabi is the only thinker mentioned therein. Al-Farabi as well as Ibn Sina and Averroes have been recognized as Peripatetics (al-Mashsha’iyun) or rationalists (Estedlaliun) among Muslims. However, he tried to gather the ideas of Plato and Aristotle in his book “The gathering of the ideas of the two philosophers”. According to Adamson, his work was singularly directed towards the goal of simultaneously reviving and reinventing the Alexandrian philosophical tradition, to which his Christian teacher, Yuhanna bin Haylan belonged. His success should be measured by the honorific title of “the second master” of philosophy (Aristotle being the first), by which he was known. Adamson also says that he does not make any reference to the ideas of either al-Kindi or his contemporary, Abu Bakr al-Razi, which clearly indicates that he did not consider their approach to Philosophy as a correct or viable one. In contrast to al-Kindi, who considered the subject of metaphysics to be God, al-Farabi believed that it was concerned primarily with being qua being (that is, being in and of itself), and this is related to God only to the extent that God is a principle of absolute being. Al-Kindi’s view was, however, a common misconception regarding Greek philosophy amongst Muslim intellectuals at the time, and it was for this reason that Avicenna remarked that he did not understand Aristotle’s Metaphysics properly until he had read a prolegomenon written by al-Farabi. Al-Farabi’s cosmology is essentially based upon three pillars: Aristotelian metaphysics of causation, highly developed Plotinian emanational cosmology and the Ptolemaic astronomy. In his model, the universe is viewed as a number of concentric circles; the outermost sphere or “first heaven”, the sphere of fixed stars, Saturn, Jupiter, Mars, the Sun, Venus, Mercury and finally, the Moon. At the centre of these concentric circles is the sub-lunar realm which contains the material world. Each of these circles represent the domain of the secondary intelligences (symbolized by the celestial bodies themselves), which act as causal intermediaries between the First Cause (in this case, God) and the material world. Furthermore these are said to have emanated from God, who is both their formal and efficient cause. In his discussion of the First Cause (or God), al-Farabi relies heavily on negative theology. He says that it cannot be known by intellectual means, such as dialectical division or definition, because the terms used in these processes to define a thing constitute its substance. Therefore if one was to define the First Cause, each of the terms used would actually constitute a part of its substance and therefore behave as a cause for its existence, which is impossible as the First Cause is uncaused; it exists without being caused. Equally, he says it cannot be known according to genus and differentia, as its substance and existence are different from all others, and therefore it has no category to which it belongs. If this were the case, then it would not be the First Cause, because something would be prior in existence to it, which is also impossible. This would suggest that the more philosophically simple a thing is, the more perfect it is. And based on this observation, Adamson says it is possible to see the entire hierarchy of al-Farabi’s cosmology according to classification into genus and species. Each succeeding level in this structure has as its principal qualities multiplicity and deficiency, and it is this ever-increasing complexity that typifies the material world. Human beings are unique in al-Farabi’s vision of the universe because they stand between two worlds: the “higher”, immaterial world of the celestial intellects and universal intelligibles, and the “lower”, material world of generation and decay; they inhabit a physical body, and so belong to the “lower” world, but they also have a rational capacity, which connects them to the “higher” realm. Each level of existence in al-Farabi’s cosmology is characterized by its movement towards perfection, which is to become like the First Cause; a perfect intellect. Human perfection (or “happiness”), then, is equated with constant intellection and contemplation. Al-Farabi divides intellect into four categories: potential, actual, acquired and the Agent. The first three are the different states of the human intellect and the fourth is the Tenth Intellect (the moon) in his emanational cosmology. The potential intellect represents the capacity to think, which is shared by all human beings, and the actual intellect is an intellect engaged in the act of thinking. By thinking, al-Farabi means abstracting universal intelligibles from the sensory forms of objects which have been apprehended and retained in the individual’s imagination. This motion from potentiality to actuality requires the Agent Intellect to act upon the retained sensory forms; just as the Sun illuminates the physical world to allow us to see, the Agent Intellect illuminates the world of intelligibles to allow us to think. This illumination removes all accident (such as time, place, quality) and physicality from them, converting them into primary intelligibles, which are logical principles such as “the whole is greater than the part”. The human intellect, by its act of intellection, passes from potentiality to actuality, and as it gradually comprehends these intelligibles, it is identified with them (as according to Aristotle, by knowing something, the intellect becomes like it). Because the Agent Intellect knows all of the intelligibles, this means that when the human intellect knows all of them, it becomes associated with the Agent Intellect’s perfection and is known as the acquired Intellect. While this process seems mechanical, leaving little room for human choice or volition, Reisman says that al-Farabi is committed to human voluntarism. This takes place when man, based on the knowledge he has acquired, decides whether to direct himself towards virtuous or unvirtuous activities, and thereby decides whether or not to seek true happiness. And it is by choosing what is ethical and contemplating about what constitutes the nature of ethics, that the actual intellect can become “like” the active intellect, thereby attaining perfection. It is only by this process that a human soul may survive death, and live on in the afterlife. Special attention must be given to al-Farabi’s treatment of the soul’s imaginative faculty, which is essential to his interpretation of prophethood and prophetic knowledge. In addition to its ability to retain and manipulate sensible images of objects, he gives the imagination the function of imitation. By this he means the capacity to represent an object with an image other than its own. In other words, to imitate “x” is to imagine “x” by associating it with sensible qualities that do not describe its own appearance. This extends the representative ability of the imagination beyond sensible forms and to include temperaments, emotions, desires and even immaterial intelligibles or abstract universals, as happens when, for example, one associates “evil” with “darkness”. The prophet, in addition to his own intellectual capacity, has a very strong imaginative faculty, which allows him to receive an overflow of intelligibles from the agent intellect (the tenth intellect in the emanational cosmology). These intelligibles are then associated with symbols and images, which allow him to communicate abstract truths in a way that can be understood by ordinary people. Therefore what makes prophetic knowledge unique is not its content, which is also accessible to philosophers through demonstration and intellection, but rather the form that it is given by the prophet’s imagination. The practical application of philosophy was a major concern expressed by al-Farabi in many of his works, and while the majority of his philosophical output has been influenced by Aristotelian thought, his practical philosophy was unmistakably based on that of Plato. In a similar manner to Plato’s Republic, al-Farabi emphasized that philosophy was both a theoretical and practical discipline; labeling those philosophers who do not apply their erudition to practical pursuits as “futile philosophers”. The ideal society, he wrote, is one directed towards the realization of “true happiness” (which can be taken to mean philosophical enlightenment) and as such, the ideal philosopher must hone all the necessary arts of rhetoric and poetics to communicate abstract truths to the ordinary people, as well as having achieved enlightenment himself. Al-Farabi compared the philosopher’s role in relation to society with a physician in relation to the body; the body’s health is affected by the “balance of its humours” just as the city is determined by the moral habits of its people. The philosopher’s duty, he wrote, was to establish a “virtuous” society by healing the souls of the people, establishing justice and guiding them towards “true happiness”. Of course, al-Farabi realized that such a society was rare and required a very specific set of historical circumstances to be realized, which means very few societies could ever attain this goal. He divided those “vicious” societies, which have fallen short of the ideal “virtuous” society, into three categories: ignorant, wicked and errant. Ignorant societies have, for whatever reason, failed to comprehend the purpose of human existence, and have supplanted the pursuit of happiness for another (inferior) goal, whether this be wealth, sensual gratification or power. Al-Farabi mentions “weeds” in the virtuous society: those people who try to undermine its progress towards the true human end. The best known Arabic source for al-Farabi’s political philosophy is his work titled, al-Madina al-fadila (The Virtuous City). Whether or not al-Farabi actually intended to outline a political programme in his writings remains a matter of dispute amongst academics. Henry Corbin, who considers al-Farabi to be a crypto-Shi’ite, says that his ideas should be understood as a “prophetic philosophy” instead of being interpreted politically. On the other hand, Charles Butterworth contends that nowhere in his work does al-Farabi speak of a prophet-legislator or revelation (even the word philosophy is scarcely mentioned), and the main discussion that takes place concerns the positions of “king” and “statesmen”. Occupying a middle position is David Reisman, who like Corbin believes that al-Farabi did not want to expound a political doctrine (although he does not go so far to attribute it to Islamic Gnosticism either). He argues that al-Farabi was using different types of society as examples, in the context of an ethical discussion, to show what effect correct or incorrect thinking could have. Lastly, Joshua Parens argues that al-Farabi was slyly asserting that a pan-Islamic society could not be made, by using reason to show how many conditions (such as moral and deliberative virtue) would have to be met, thus leading the reader to conclude that humans are not fit for such a society. Some other authors like Mykhaylo Yakubovych argue that for al-Farabi religion (milla) and philosophy (falsafa) constituted the same praxeological value (i.e. basis for amal al-fadhil—”virtuous deed”), while its epistemological level (ilm—”knowledge”) was different.